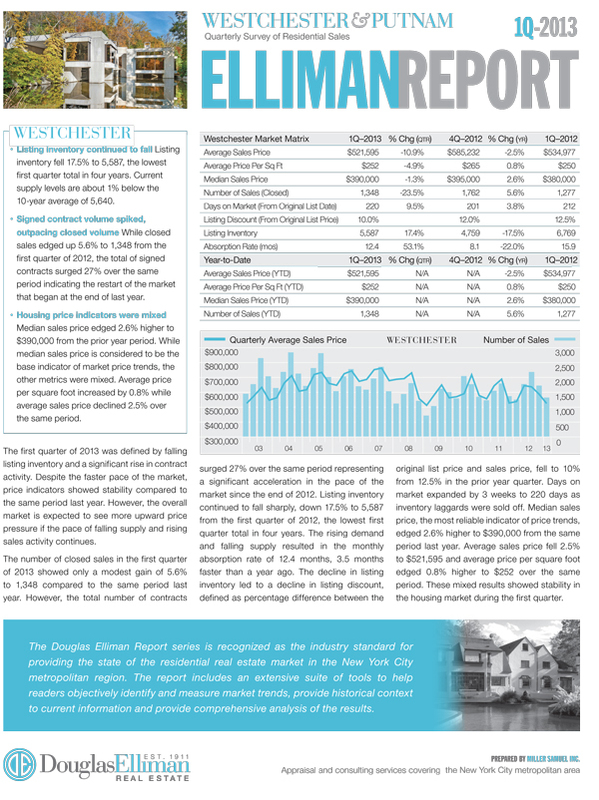 We just published our report on the Westchester & Putnam County New York housing markets. 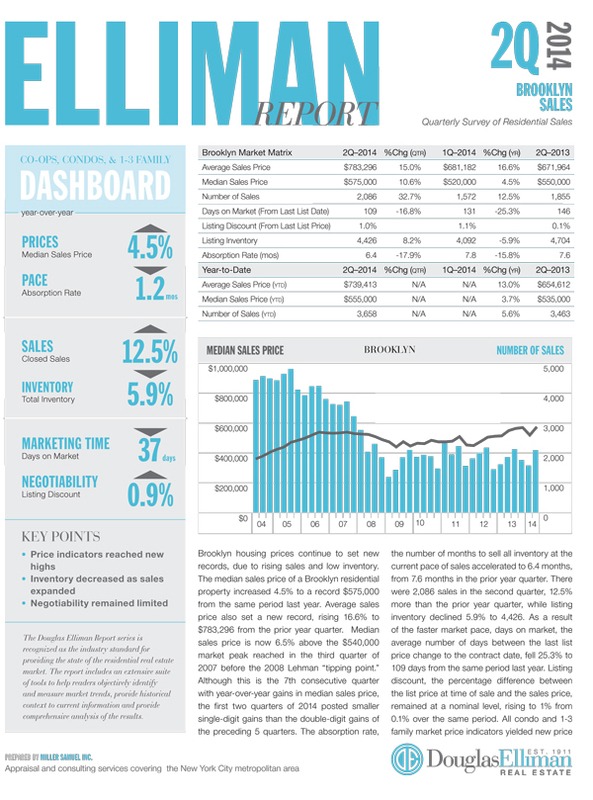 This is part of an evolving market report series I’ve been writing for Douglas Elliman since 1994. 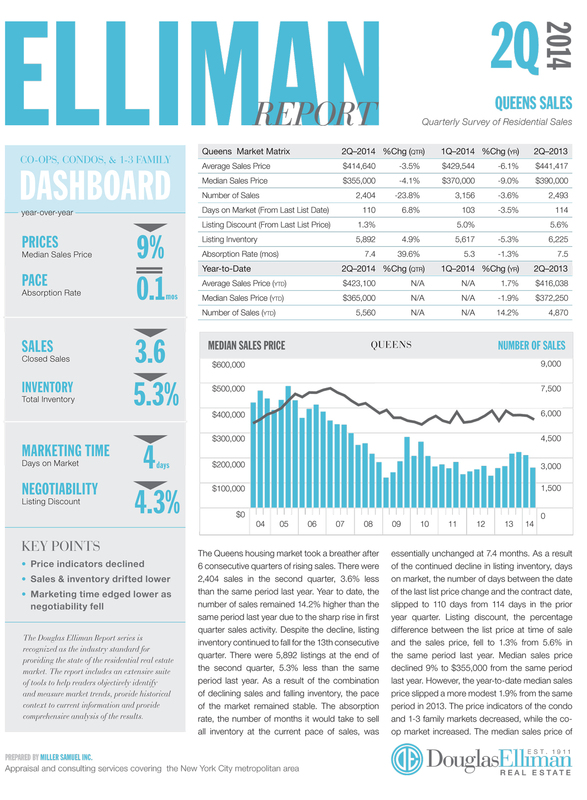 Listing inventory fell to lowest first quarter total in four years. Current supply is just below the 10-year average. While sales are up, contract volume surged above year ago levels. Overall price indicators were mixed indicating stability. 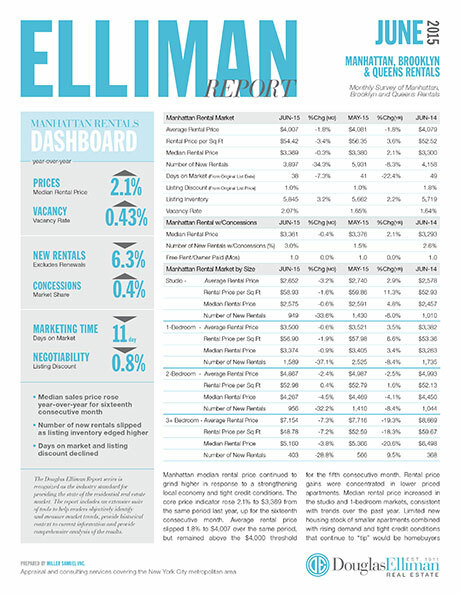 You can build your own custom data tables on the Westchester & Putnam market – now updated with 1Q 13 data. I’ll be posting the updated charts soon. 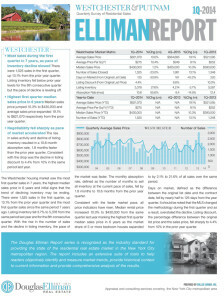 We just published our rreport on the Westchester & Putnam County New York housing markets. 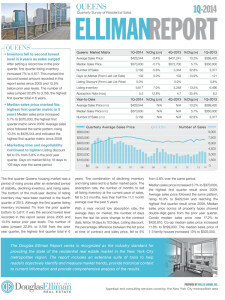 This is part of an evolving market report series I’ve been writing for Douglas Elliman since 1994. Sales up sharply as many anticipated higher taxes relating to the Fiscal Cliff in 2013. Listing inventory continued to fall. Higher sales and tight credit ARE keeping inventory low. Days on market edged higher as older inventory continued to be absorbed. 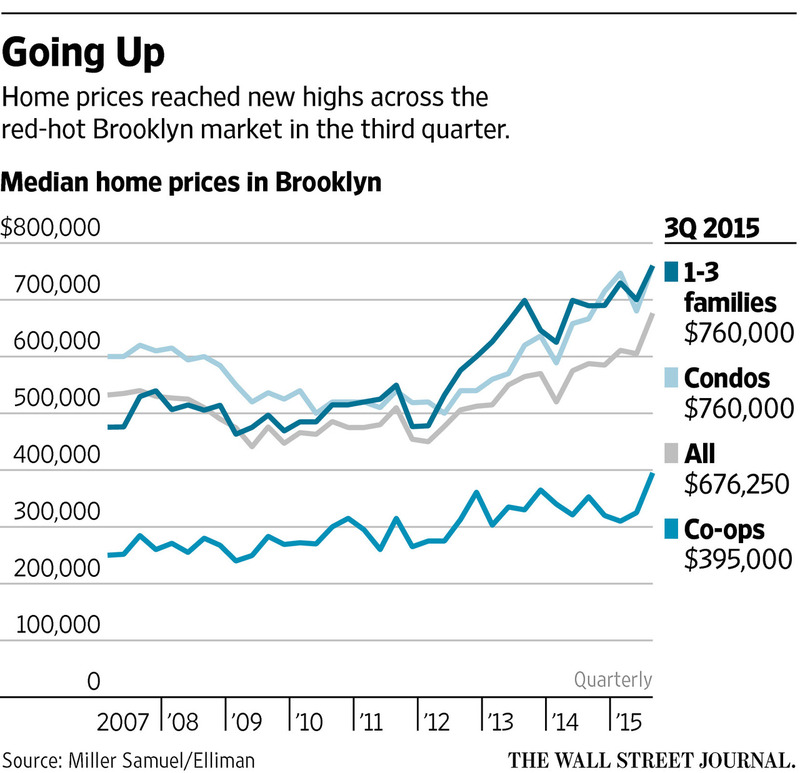 Luxury prices continued to outpace the overall market. Housing price indicators were mixed. Sales slipped from the same period last year. 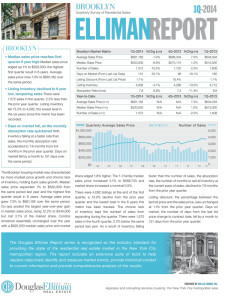 Listing inventory continued to trend lower. 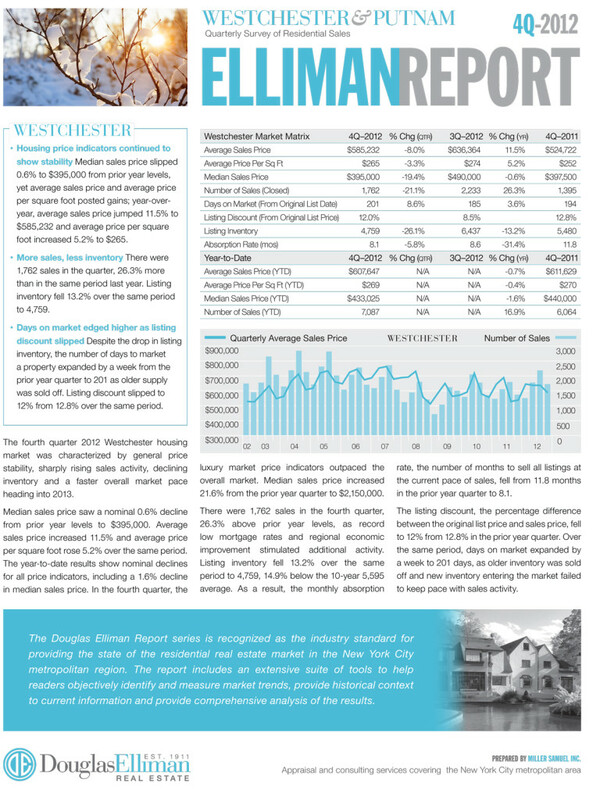 …The fourth quarter 2012 Westchester housing market was characterized by general price stability, sharply rising sales activity, declining inventory and a faster overall market pace heading into 2013. 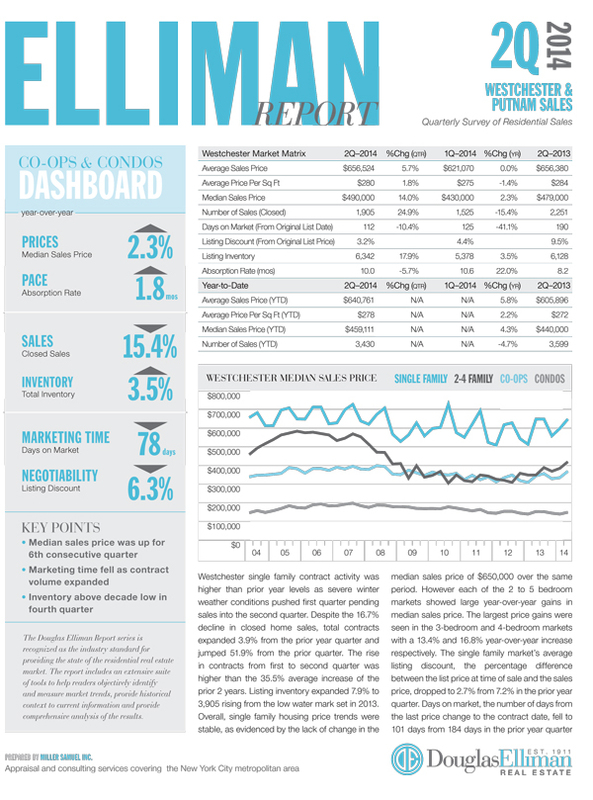 You can build your own custom data tables on the Westchester & Putnam market – now updated with 4Q 12 data. I‘ve added some charts for Westchester (Putnam coming) and will be adding to them in the future.